After eliminating the Watford Gap much quicker than might have been expected, West Ham entertain the Hornets. We’ve done well in our games against flying creatures in December, can we continue the run and fly to even greater heights, or will we be stung just before Christmas? I’ll begin my preview of this weekend’s game by repeating parts of my preview to the Newcastle game that I wrote just three weeks ago as we began the last month of 2018 and the run up to Christmas. “As we reach December 1, the beginning of meteorological winter, we begin a run of eight matches in 33 days, that will possibly define the eventual outcome of our season. A look at the current league table reveals that, on paper at least, the forthcoming 720 minutes (plus time added on of course), will see us facing as easy a group of fixtures that we could hope for. Now this is unpredictable West Ham we are talking about, so although they may look like very winnable fixtures, those of us who have followed the team throughout the years know that this may very well not be the case. Incredibly we are half way there! With four games of this season gone, we trailed today’s opponents by 12 points. As is often repeated, we lost our opening four games, whereas Watford were victorious in all four (admittedly three at home) against Brighton, Burnley, Palace and Tottenham. The gap was 12 points. What odds were on offer at that time, on us going into today’s game with both of us sitting in the top half of the table, with Watford below us? It would have been similar to the long odds mentioned before I suspect. And we’ve done it with a lengthy injury list too! In fact, both Watford and ourselves have virtually identical records in the 17 games that we have each played to date. We’ve both won 7, drawn 3, lost 7, and have conceded 25 goals. The only difference is that Watford have scored 23, whereas we have 2 more, and as a result do not have a negative goal difference. This game, and the one on 27 December at St Mary’s, will take us up to the half way point of the season, and barring a calamitous run of results, I think we can safely say that we will not have to look over our shoulders any more. The positivity from all quarters is such that European qualification is now a distinct possibility, and that was not the case a few weeks ago. I don’t think that we were at our best against Fulham last weekend but the win was comfortable without us needing to find the higher gears. 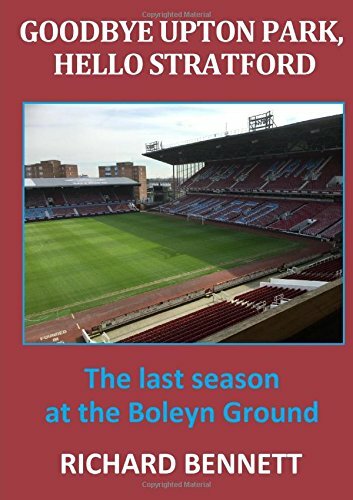 Even without the talismanic Arnie, the team as a whole has been playing well, and they have reminded me to some extent of the West Ham I witnessed in the 1960s and 1970s. We look good going forward, the chances are being created and taken, but we can still be vulnerable and concede silly goals. And yet generally the defence has been playing well. Balbuena and Diop have formed the best central defensive partnership in many years, Zabaleta continues to defy his age and has played some excellent matches recently, and behind them the safest keeper I can remember since the days of Phil Parkes. Teams that attack the left hand side of our defence know what they are doing and that for me is the weakest part of the team. I read someone on social media asking who our fans thought would end up as Hammer of the Year at the end of the season. There is still a long way to go, but the most pleasing aspect was the variety of responses from so many people which suggests that many players are doing well. There were numerous shouts for Fabianski, Zabaleta, Diop, Balbuena, Rice, Snodgrass, Noble, and Anderson, with not a single mention of Arnie. That would have been hard to believe a few weeks ago. But if Arnie comes back and adds his name to that list then we will almost certainly have had quite a season. Additionally, Antonio is beginning to look more like the player of a couple of seasons ago, and Hernandez is playing with the confidence that scoring goals brings to a natural goalscorer. Side-tracking for a moment, I’m a bit of a traditionalist. I like my football on a Saturday, roast beef on Sunday, all right (could be the lyrics of a song!). In case you haven’t noticed some fixtures in February have been moved for the benefit of TV. So, if like me your favourite kick off time is 3pm on a Saturday, make the most of this weekend’s fixture, because there won’t be another home league game kicking off at 3pm on a Saturday until at least March next year! Back to the game, with two teams equally balanced on the basis of the league table, then the odds reflect this. West Ham are around 13/10 to win the game, with Watford at 2/1, and 23/10 for the draw. Our historical record against Watford is one of overwhelming superiority, and in approaching 70 league games in more than a century, we have beaten them more than twice as many times as they have beaten us. I believe that in that time they have only won 3 league matches on our ground. Of course there was the infamous 4-2 defeat in 2016 when we threw away a two goal lead and were accused of showboating by Mr. Deeney. Although that game was only just over two years ago, only Noble, Masuaku and Antonio of the 14 players on duty that day are likely to be in our starting eleven for this game! Our last league defeat at home to them before then was in 2007, but that game ended a sequence of 19 league games from April 1985, when we were unbeaten against Watford, winning 16 and drawing 3. Historically, football matches played on the last Saturday before Christmas were played in front of lower crowds than usual; the theory was that a number of people did their last minute Christmas shopping on that day. The world has changed since those days with extended shopping hours. I can often remember us losing many of those pre-Christmas matches but there were some notable wins, for example a couple over Tottenham in the 1960s. In the mid-1970s I can recall Billy Jennings scoring a hat-trick in a pre-Christmas game, and both Tony Cottee and Paulo Di Canio scoring in those games too in later years. In our last Saturday game before Christmas in 2011 (the season we were promoted back to the Premier League under Big Sam) we beat Barnsley 1-0 in a Championship game at Upton Park in front of almost 35,000 spectators. Our goalscorer that day had the last name of Diop. Not Issa of course, but Papa Bouba (remember him?). I’ll be continuing with my fun bets on Issa Diop to score the last goal of the game where very long odds are on offer. One of these weeks it will happen! History counts for nothing and this could be a close, perhaps high scoring encounter. I’ll take us to win 3-2 with Diop heading home a corner for the winning goal. A merry Christmas and a happy New Year to West Ham fans everywhere! A fifth straight win would be a nice Christmas present for us all!